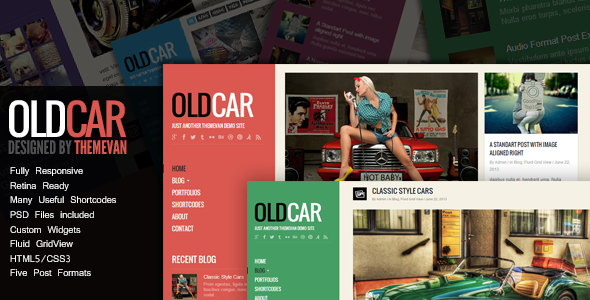 OldCar theme, it’s a creative HTML5 WordPress Theme that is suitable for personal blog or shows the portfolios. There are two layouts for the blog, the normal layout, and fluid grid view. You can easy to change the main color style with custom options, and it also provides 5 styling for the WordPress custom post formats like Tumblr style. The most important thing is there are many useful shortcodes ready, so the home page not only can show the recent posts, but also you can make a different home page with shortcodes that include a slider, service, team,etc… About more details, you can preview the live demo site and screenshot of Theme options. Please download “Main file”, it’s include help documentation and child theme. Many easy use shortcodes to help you to create some different layout or elements, custom home page. Thanks for all great photographer and their awesome pictures! 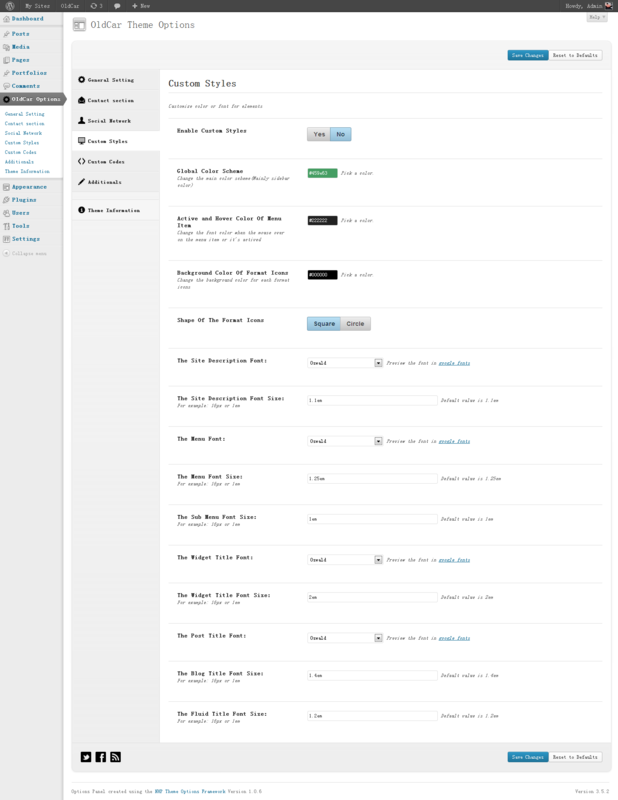 Added category title and description in the archive page. 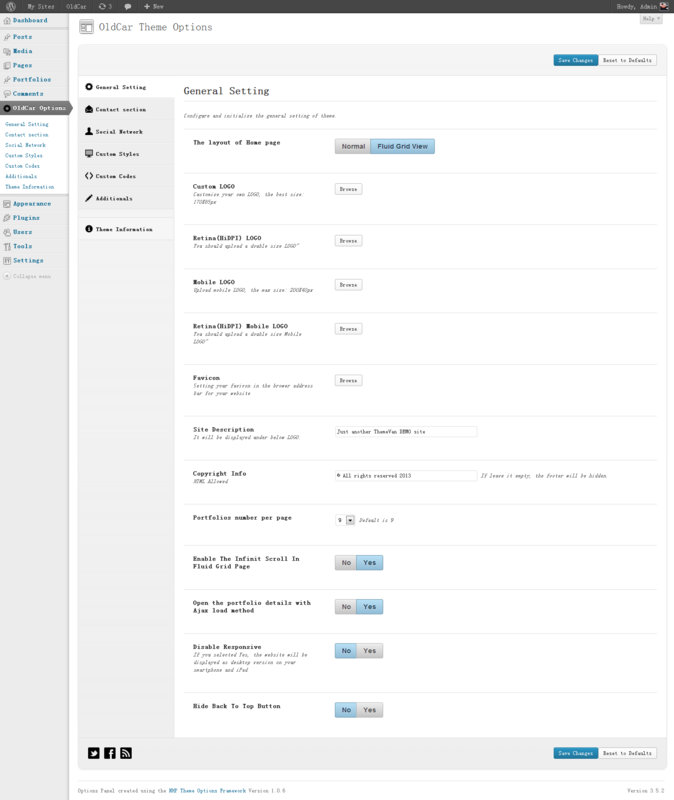 Fixed some compatiblity issue with the new version of WordPress. Improved some small CSS issues. Reduce number of H1 tags and add ”.entry-title”,”.author” class name for SEO. Fixed the date filter doesn’t work. Fixed the custom LOGO cropped issue. Added large view effect on the gallery slide pictures. Added portfolios template for the front page in “OldCar options > General settings > Homepage Layout”. 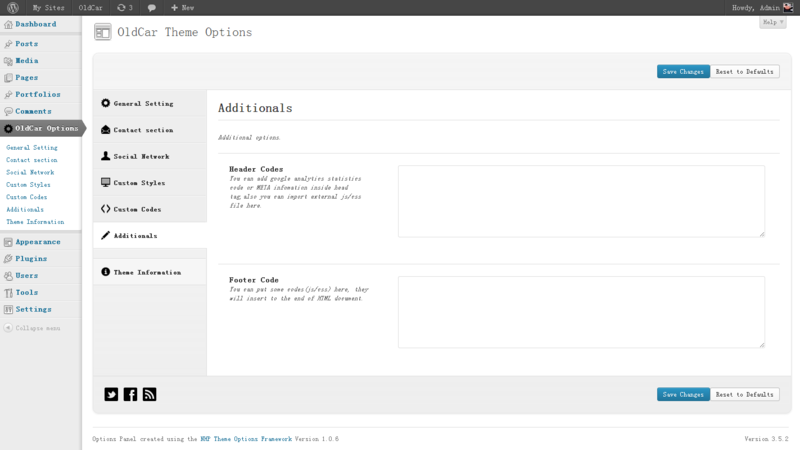 Added two options for switch the layout from standard to fluid gridview in tag and search page. Improved the Video responsive on mobile phone. Fixed tag page doesn’t work and added tag.php file. Fixed a bug the height of page will be endless when scrolling down in infinit scrolling. Fixed a bug that infinit scrolling doesn’t work on mobile device. Included a light style child Theme. Fixed a bug in search result page. Fixed a bug that the gallery will show up in every posts. Improved the default menu layout when the custom menu doesn’t exist. Fixed “Disable Responsive” option doesn’t work. Filtered duplicate sticky posts in the normal Loop. 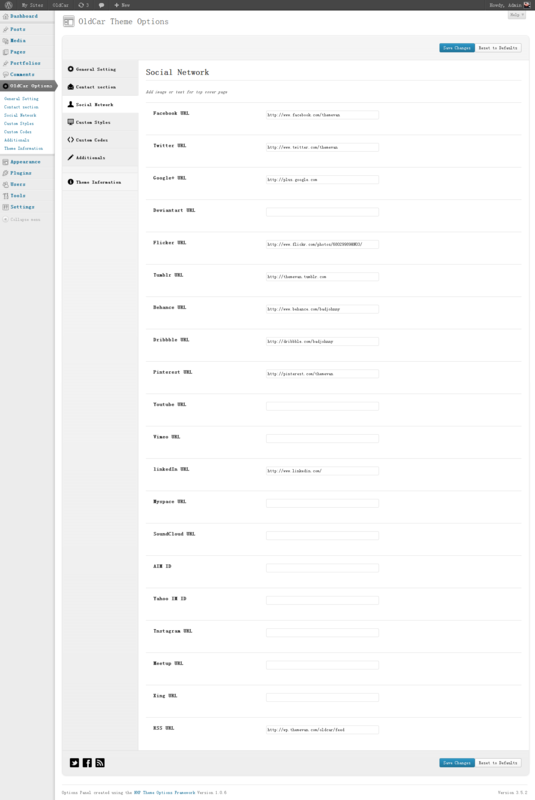 Added recommended and required plugins notification with TGM-Plugin-Activation. Added an new option for gallery post that allow you to close the slideshow. Fixed the CAPTCHA validation doesn’t work. Fixed the linkedin icon doesn’t display. Fixed the skills bar doesn’t display correct in the post content. Fixed the LOGO is cropped when the height of LOGO container was changed. Made the responsive drop menu scrollable in order to display some hidden items. Added an option for select the fluid grid wide or narrow. Added the author link in post meta information. Added the category option for recent posts widget. 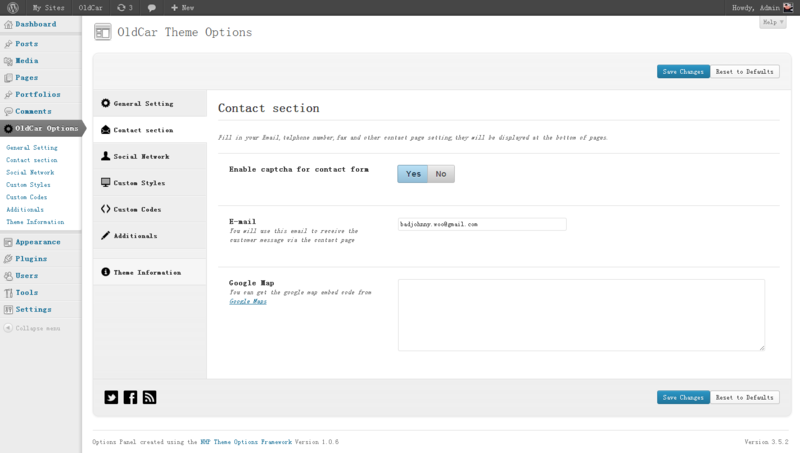 Improved the excerpt of fluid page that user can customize their own excerpt to instead of auto truncated text. Added an option for change the height of LOGO container. 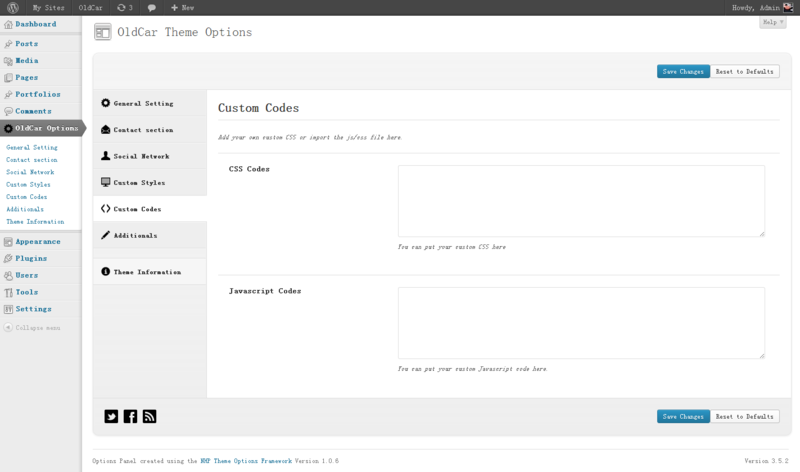 Fixed the shortcodes CSS haven’t been imported into the pages. Fixed some small issues in portfolios page.